Summer is almost over, but before you head back to class, why not pick up a classic school romance or two to keep yourself entertained in the coming semester? Check out our back to school sale from now through August 31st! Da Capo – $29.95 $20.97 30% Off! Da Capo: Innocent Finale – $19.95 $13.97 30% Off! 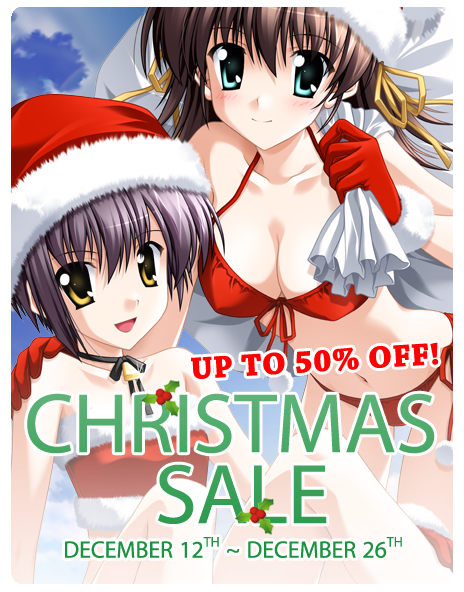 Kotori Love Ex P – $34.95 $24.47 30% Off! Da Capo II – $44.95 $31.47 30% Off! Da Capo II Hardcopy – $49.95 $37.46 25% Off! Edelweiss – $29.95 $20.97 30% Off! Edelweiss Eiden Fantasia – $19.95 $13.97 30% Off! Edelweiss Bundle – $39.95 $27.97 30% Off! Kira Kira – $29.95 $20.97 30% Off! Kira Kira (All Ages) – $19.95 $13.97 30% Off! Kira Kira Curtain Call – $19.95 $13.97 30% Off! Kira Kira Bundle – $39.95 $27.97 30% Off! Otoboku – $44.95 $31.47 30% Off! 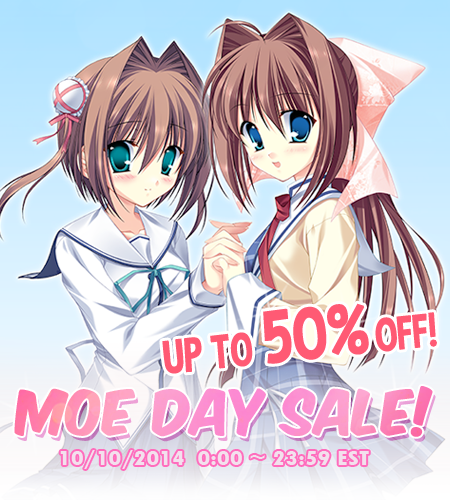 Harukoi Otome – $49.95 $34.97 30% Off! If My Heart Had Wings – $14.99 $7.49 50% Off! We’ve also got four titles that will be on sale for 50% off for the final day only, so be sure to check back for even better deals!